On 4th January 1981 the congregations of Cathcart, Sandgate and Trinity united to become Ayr St. Columba, as decreed by the General Assembly’s Union and Readjustment Committee. A special Arbitration Committee from Edinburgh had already decided that the former Trinity Church would be the location of the new congregation and that the hall of the former Cathcart Church, on Cathcart Street, would be retained. 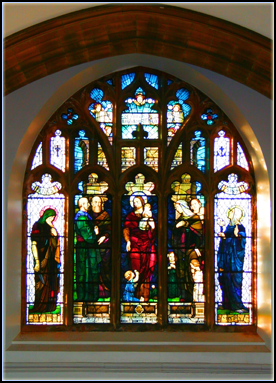 Although most of the furnishings of Ayr St. Columba remain those of the former Trinity Church, several items of historical significance from Cathcart and Sandgate were incorporated, the most important being the War Memorials, which take their place with those of Trinity already in place. With the induction of the Rev. W.J. Christman as the first minister on 3rd June 1981, the new congregation quickly found its stride.